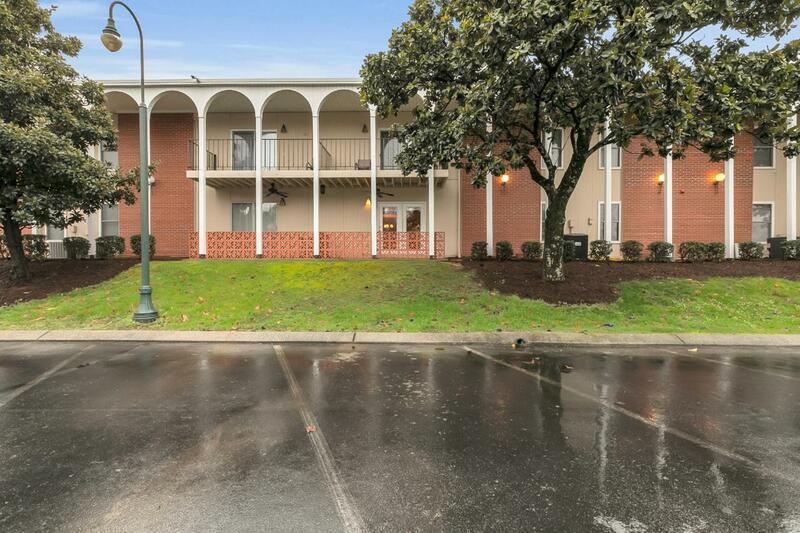 Beautifully updated main level condominium located on north shore next to the Chattanooga Theater Centre, Coolidge Park, Walnut Street Bridge, and a multitude of shops, restaurants, and galleries. Riviera Villas is a 1960's era condominium situated in a 21st century-enviable location. The rooms are larger than most of the new condominiums. Gorgeous granite counter tops and back splash in the kitchen with stainless steel appliances and alder wood cabinets. Living, dining and kitchen all have gorgeous wide plank African Mahogany hardwood floors. Lovely vinyl windows. Gated parking with plenty of space for visitors. Community pool with clubhouse. Additional storage space separate from the unit. No pets or short term rentals per HOA.HOA covers the cost of water usage, maintaining grounds, pool, pest control, and all outside walls plus flood insurance on the building.